Erickson Zebroski Design Group is an Architectural design firm serving San Francisco and the greater Bay Area. We offer a range of architectural services focusing mainly on residential projects. We specialize in custom residential remodeling and new construction with special emphasis on the intricate aspects of home and garden. We love working with people who love their homes. Working with budgets and building departments, we make sure your vision becomes a reality. Our inspirations are drawn directly from our client’s goals and synthesized with our design experience. We’re especially resourceful and receptive to a range of solutions and styles. We are as likely to employ elements of the craftsman aesthetic as those of a more contemporary simplicity. When possible we attempt to use materials with minimal impact on the environment while still addressing your aesthetic and practical concerns. We will, in fact, attend to every detail. Laurie Erickson and Chet Zebroski began their partnership in 1994. Previously they were project architects/designers with Jacobson Silverstein Winslow Architects in Berkeley, CA.  Laurie is a licensed architect in California. She is a graduate of UC Berkeley with an independent degree in “Architectural Design and Structures”, as well as a graduate of the UC Master Gardener program. She has been working in the architectural field since 1985. Chet is a licensed General Contractor in California (with the license currently in an “inactive” status). He has been involved in the building trades since 1978. He began working in the architectural field in 1986. He is a member of Build-it Green and is a Certified Green Building Professional (CGBP); a Qualified Water Efficient Landscaper (QWEL) certified through the EPA; and holds a Permaculture Design Certificate (PDC) through San Francisco Permaculture Institute.